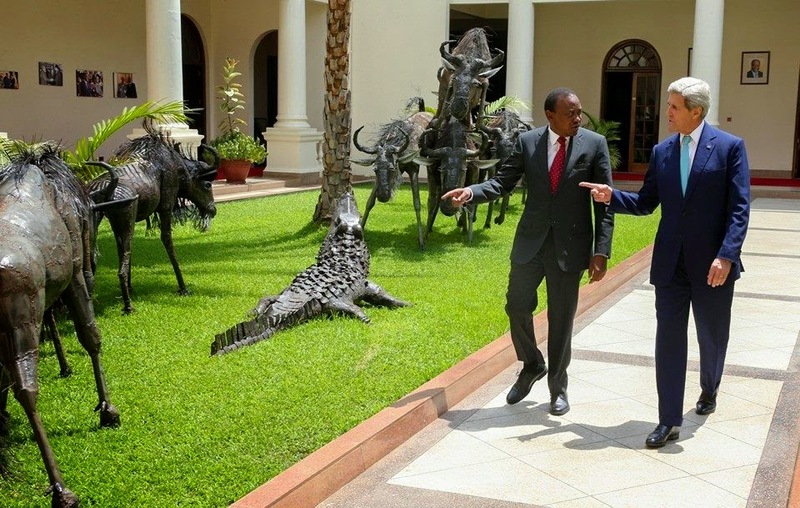 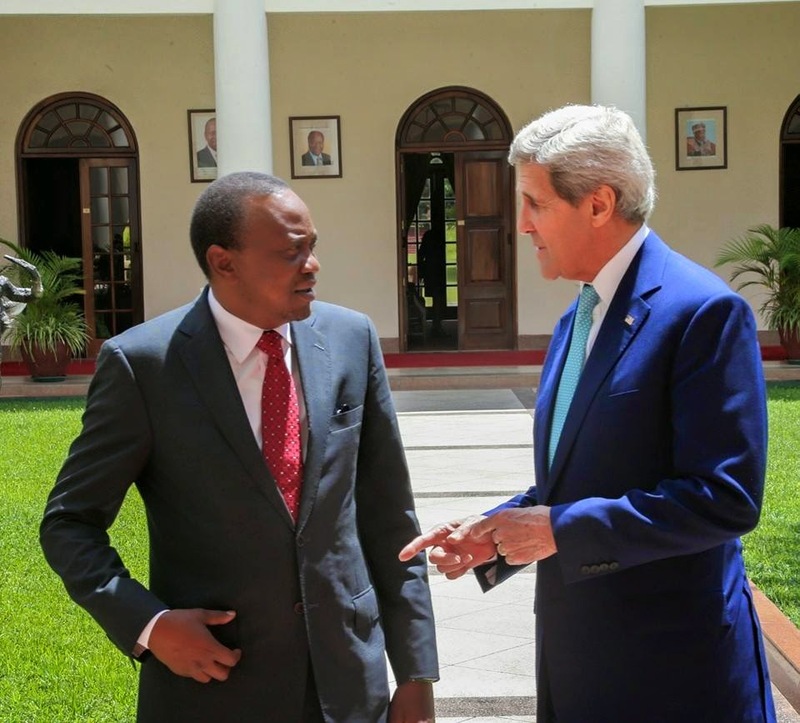 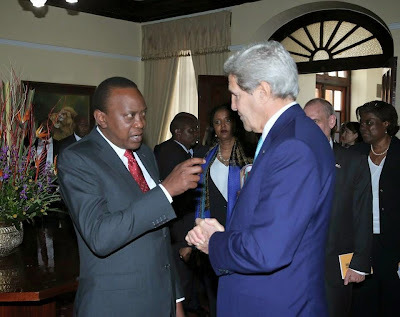 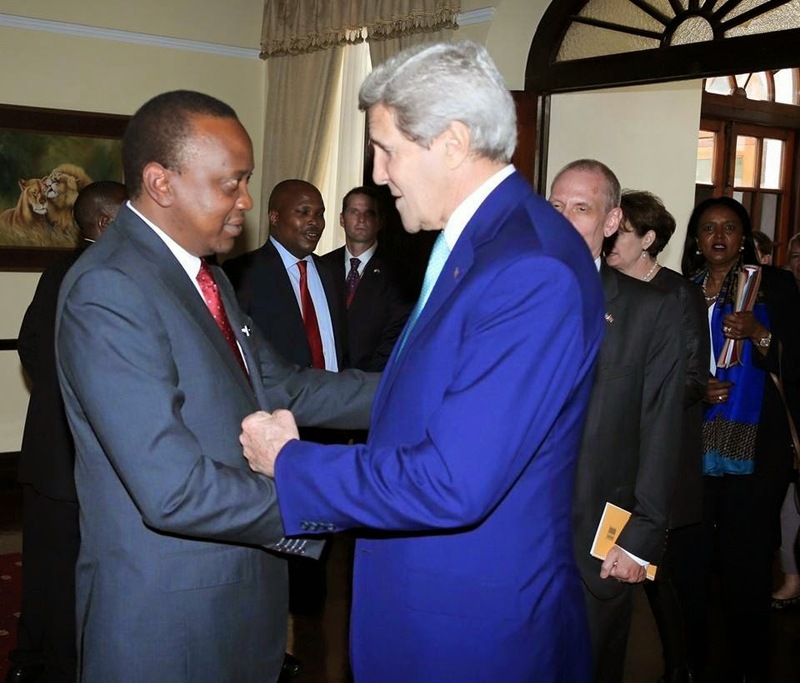 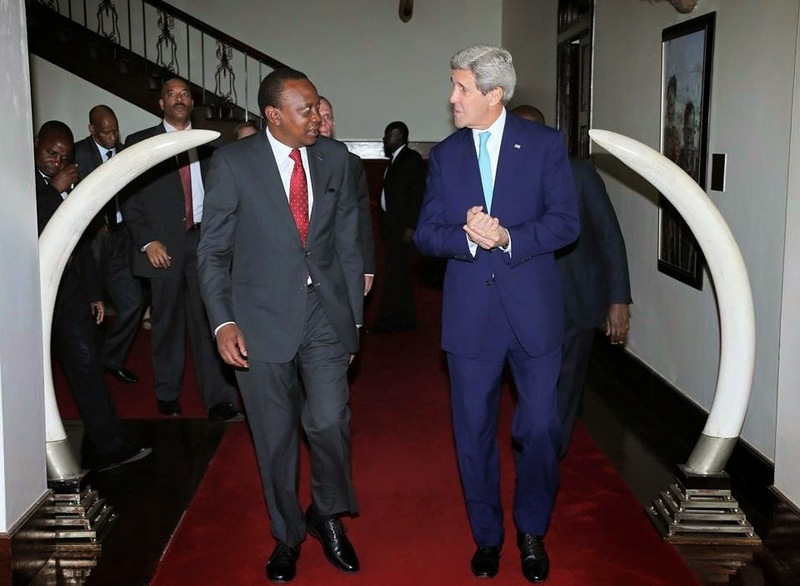 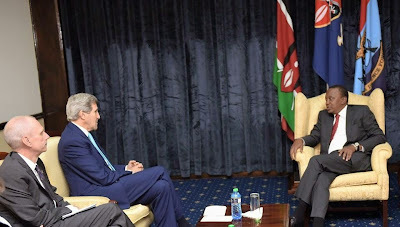 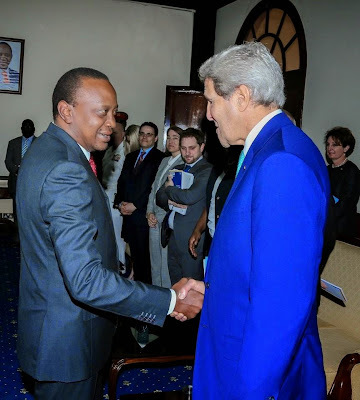 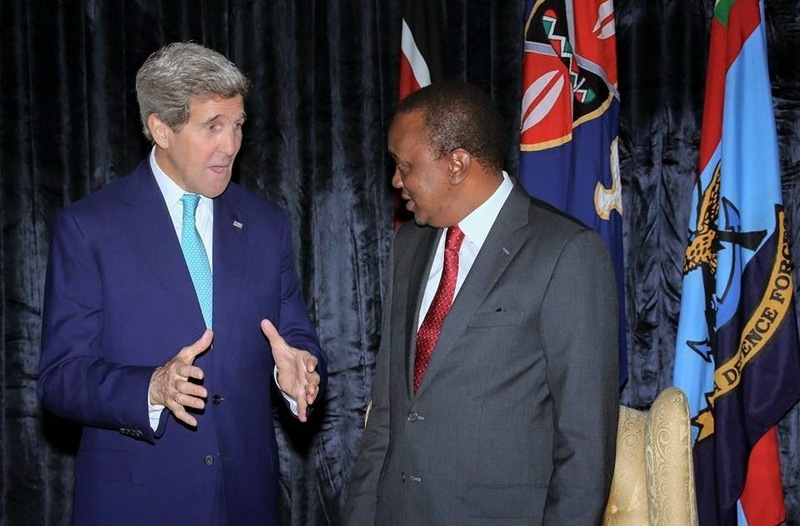 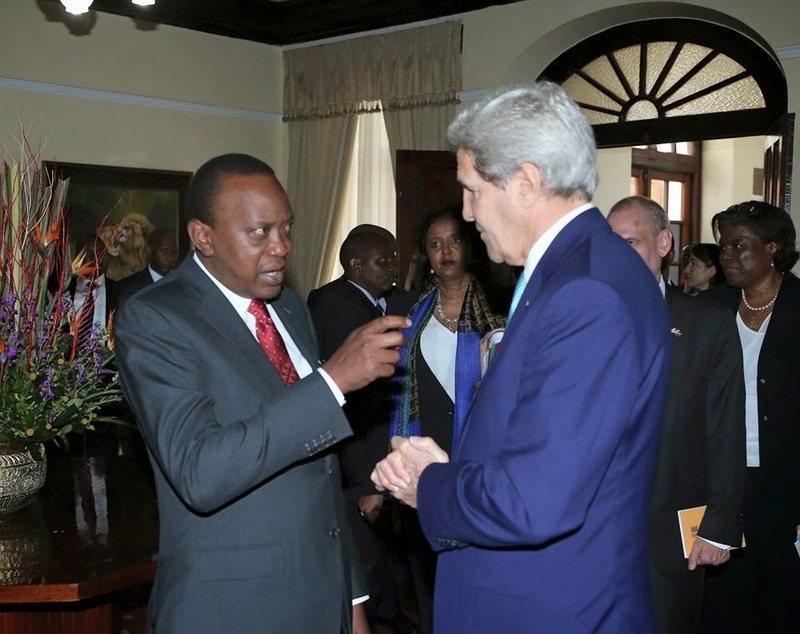 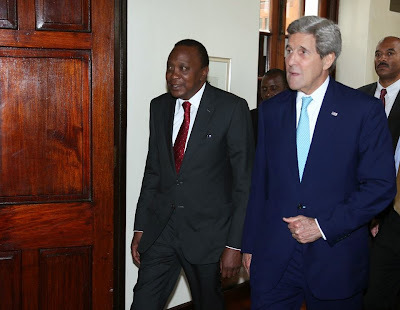 The US Secretary of State John Kerry met with President Uhuru Kenyatta yesterday at State House Nairobi where they held talks on a few issues affecting the country. 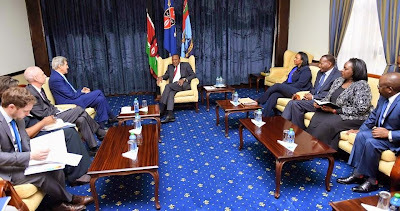 According to PSCU, they discussed on investment, security and President Barack Obama’s upcoming visit to Kenya. 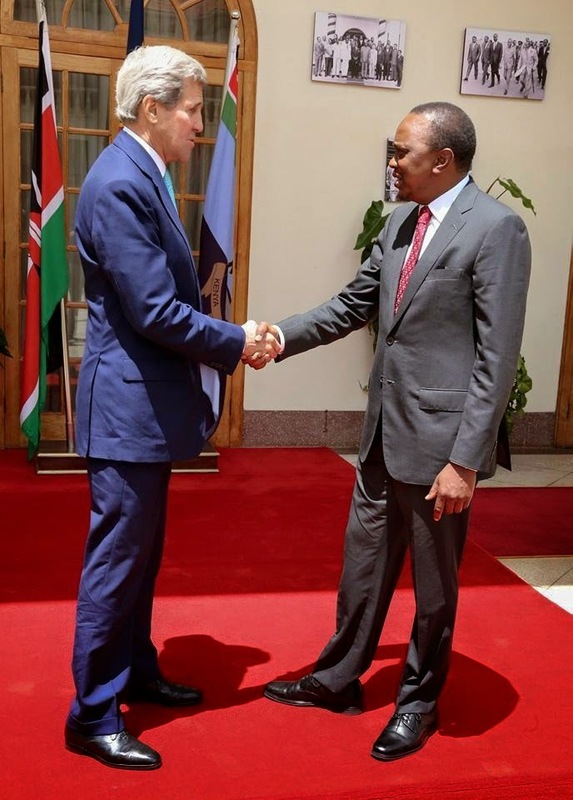 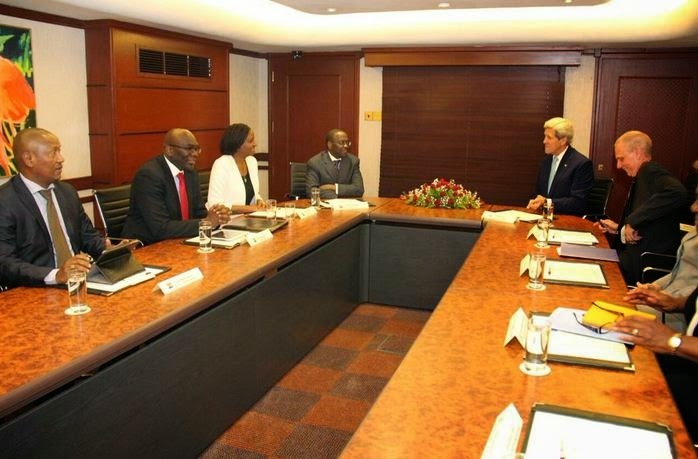 Kerry also assured the government of US support in stabilizing Somalia. 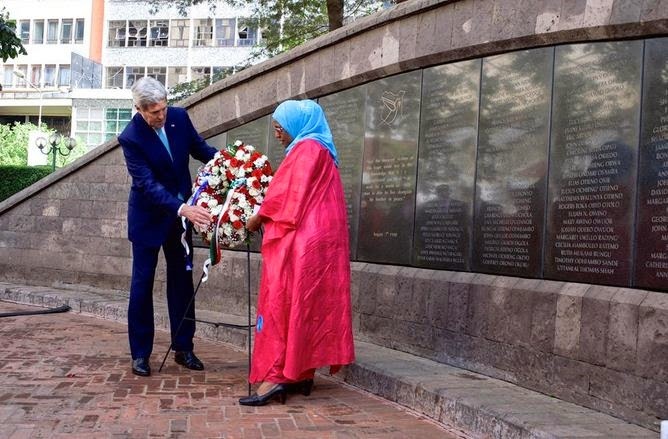 The secretary of state had earlier visited the August 7th Memorial Park where he honoured victims of terrorist attacks, and later met Chief Justice Willy Mutunga.